The Fiio RC-HD1 features a special PCOCC-A high purity OCC copper wire construction,high purity wire creates excellent conductivity, four segment straight copper plated gold 2.5mm / 3.5mm connections and outstanding tension resistance. It is a replacement cable for the Sennheiser HD518, HD558 and HD598. Not all cables are created equal. Whether you believe this cable is worth £30 is up to you to decide, but I have been extremely happy with it. The Sennheiser HD5xx range comes with a 3 metre cable terminated with a 6.3mm plug which does not fit any portable gear or smartphones. It does come with an adapter to convert the 6.3mm plug down to 3.5mm but then you have this huge component sticking out of your headphone socket, which also will create a lot of strain of the headphone jack. The Fiio cable is a replacement speaker cable for the HD5xx range of headphones. For a start it is only 120cm long and terminated with a 3.5mm plug. In addition it upgrades the quality of the sound experienced through the HD5xx headphones. In use I found my music to provide clearer treble and midrange. tighter bass and a wider sound stage. 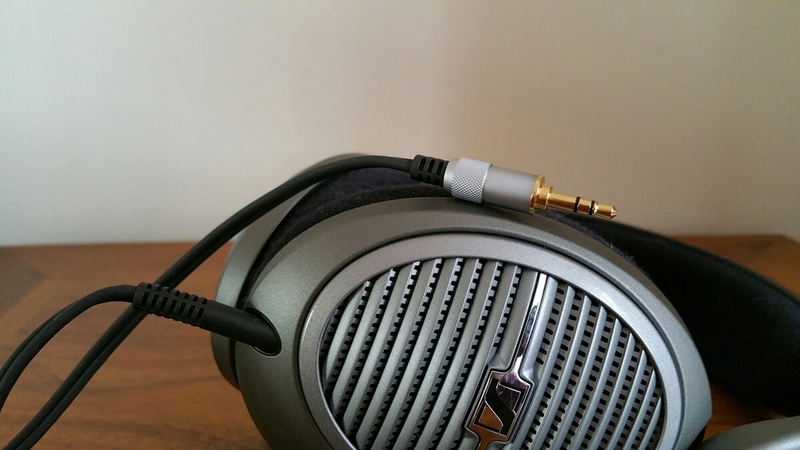 It is also a lot easier to use my HD518 headphones with a shorter cable length. For those that haven’t heard of Fiio they make a number of budget audio components that offer huge bang for your bucks.